[SatNews] Boeing [NYSE: BA] will make a $30 million donation to the Smithsonian’s National Air and Space Museum to support education work, new exhibits and the first renovation of the “Milestones of Flight” hall since the museum opened. 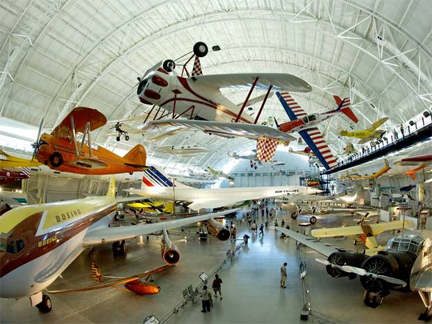 Interior photo of a small portion of the Smithsonian's Air & Space Museum in Washington D.C. The renovation and new exhibits will be completed in 2016, the same year that Boeing celebrates its centennial anniversary. Including this gift, Boeing has donated nearly $60 million to National Air and Space Museum. Boeing and the aerospace industry are at the forefront of innovation, with ideas that have changed the world in ways that could never have imagined 100 years ago. Not only does the Smithsonian National Air and Space Museum celebrate and commemorate aerospace milestones, but the institution also represents the aspiration to inspire future generations, test the limits and challenge the impossible. The renovated Boeing Milestones of Flight Hall will showcase one of the world’s largest collections of aerospace objects and feature new exhibits to excite the imagination of all ages about the future of flight.